You just can’t pigeonhole Billy Bob Thornton. Think about the movie roles he’s most famous for and see what, if any, connection there is: Carl in Sling Blade; Hank Grotowski in Monster’s Ball; Morris Buttermaker in Bad News Bears; Coach Gaines in Friday Night Lights, and my favorite, Willy in Bad Santa. Who would figure that the guy who portrayed so many varied and somewhat disturbed characters had a musical soul too? 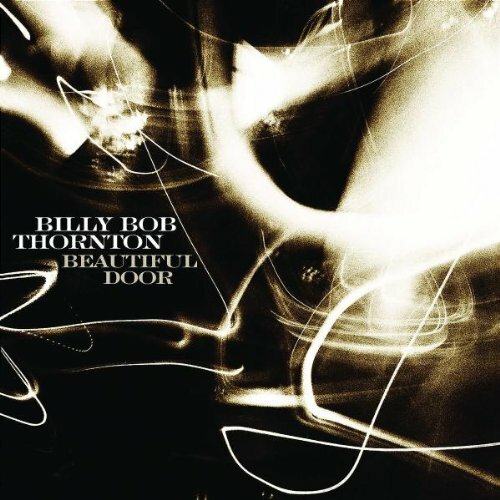 But, this month, Billy Bob Thornton’s fourth CD, Beautiful Door, will be released. It’s a collection of original, contemporary songs with a touch of country, all written and sung by Thornton. He also is the drummer on the album’s tracks. BOB ANDELMAN/Mr. MEDIA: Billy Bob, this was my first exposure to your music, and I’ve got to admit, I was a little surprised at how gentle and calm most of it is. BILLY BOB THORNTON: Yeah, it’s kind of a vibey record. When we play live, we’re a little bit more of a big rock show. On the records, we tend to do kind of somewhere in between J.J. Cale and Johnny Cash kind of stuff. But I’ve always been into real moody records, and that’s what we try to do. Like you said, we’ve got a couple of tunes that are a little more raucous, but for the most part, it’s a real vibey record. ANDELMAN: It was a little against type from what I was expecting, I guess, or what I thought the type was. Obviously, I was wrong. Is this album very different from the three that preceded it? THORNTON: Well, it’s pretty similar to the first one, Private Radio, as well as the third one, which was called Hobo. But the second record we did was called The Edge of the World and it was kind of all over the map, that record, our second one. It had everything from rock songs to country songs on it, and you can’t do that anymore. These days people want records that kind of sonically and lyrically all fit the same vibe like it used to be in 1968 or 1970. You could have a record with all types of songs on it, but I’m not sure if it’s the people or record labels, but they want to put it into a category. I suppose a lot of that is because of the radio. When I was a kid, you would hear James Taylor and Black Sabbath on the same station. There’s the contemporary country station, and then there’s the pop station, and everybody has to be in a category. ANDELMAN: Plus, with the downloading of music, people can just pick the songs that they want, so if it’s not all of a type, they may pick one particular song that they like, but if the next one doesn’t sound like it, they’re only going to take that one song. ANDELMAN: I guess the Billy Bob I was expecting was the one in the song “I Can Tell You,” the guy who says, “I can tell you some crazy stories, I bet they’d make you run away.” Not so many of those kinds of stories in there. THORNTON: It’s funny when people say something seems to be “a personal record” or “Is it autobiographical?” It’s always a little of both. Most things you write about, they’re stories that either you’ve observed or been involved in or are yourself. I think the best way to write is from personal experience. Like, for instance, I wouldn’t make a very good science fiction writer. I pretty much have to write about stuff that I’ve either observed or been involved in myself. ANDELMAN: You haven’t been in outer space? THORNTON: Well, in some ways I have. THORNTON: No question about it. ANDELMAN: Thank you for clarifying that. You’ve been playing music an awful long time. You’ve got your chops, but what drives you to keep making music now? Certainly, you’re not in it for the income. ANDELMAN: Are you more likely to hang out with musicians or actors? THORNTON: I hang out mostly with musicians. I have a few actor friends, not many, and most of the ones that I have are not very famous ones. They’re guys that I came up in the theater with mostly. Frankly, I don’t hang out with many famous people at all. I’ve got all these kids, so I kind of just stay home and don’t do much of anything. Play with kids and record music and then when I go away, it’s usually to make a movie or to go on tour with the band. ANDELMAN: I suspect, without getting into it, that you’ve had enough exposure to being very famous and very visible, and you could certainly choose one or the other – to be famous and visible, or not to be. THORNTON: Oh yeah. That part of it is not my favorite part, the old going out in public part. I’m still embarrassed by it, frankly. ANDELMAN: Does the musician in you make different choices than the actor? THORNTON: No, it’s pretty much the same thing. I guess there have been choices as an actor that have been slightly different than doing music. If I were playing music to sell 5 million records, I would certainly write different kinds of music than I do. I don’t exactly write commercial music. I have, however, as an actor a couple of times, done bigger movies, Armageddon, for instance, stuff like that. I doubt you’ll ever see me making some kind of pop or hip-hop record or a contemporary country record, either. ANDELMAN: You haven’t made the musical equivalent of Bad News Bears yet, either. THORNTON: No, although we’ve got a few coming out pretty soon on another record that could be a little bit Bad Santa-like. ANDELMAN: Really? Got to pause there and tell us more about that. THORNTON: My band is called The Boxmasters, and we are making a record under just the band name, which will have my name on it, but it’s the same exact people. The record’s gonna have an explicit lyrics sticker on it, but it’s kind of a hillbilly/punk record which is something we do live a lot. ANDELMAN: That should be very interesting. THORNTON: In fact, we’re opening for ourselves on tour. ANDELMAN: Do you get paid double when you do that? How does that work? THORNTON: The Boxmasters only get like $200 bucks a night for the whole band, and they have to ride another bus. Even though it’s the same band, we still treat ourselves really bad when we’re The Boxmasters. THORNTON: We treat ourselves as an opening act. ANDELMAN: My old days of covering music years ago, I think the attitude was you always had an opening band that was never as good as the headliner? THORNTON: Right. Exactly. We try to be just as good, but we still treat ourselves like crap when we’re the headliner. ANDELMAN: Have your music and film careers ever met? Has any of your music accompanied a film, for example? BILLY BOB THORNTON: Well, actually, I’ve cut a couple of songs for TV shows that are not out yet that are coming out. I was asked to do a Hank Williams cover for a Canadian television show that’s gonna be on this coming year, and then there’s another show on Showtime that we did an opening credit song for. So I’ve done that, but I haven’t done anything for my own movies. I tend to be more willing to do music for a movie that I don’t have anything to do with really. I try to keep the two as separate as possible. ANDELMAN: I understand. Let me ask you this: could you pick out a song or two from Beautiful Door and maybe tell us a little about them? THORNTON: Well, the song “Beautiful Door,” the title song, is an anti-war song, really. Normally, I haven’t put real political songs on my records. This whole record, really, the theme of it, is life and death and how important life is and how we need to treat it and about having to face death. It’s both on a personal level and a global level. There is a song on there that’s about not judging a book by its cover. There’s three sort of anti-war songs as well as a couple of songs about suicide and how that affects the people you leave behind because of your choice. So it’s really a record about life and death. The song “Beautiful Door” is about religion being mixed with war and politics so much and how it seems that the people that die are the people who don’t really care. It’s like the people who aren’t involved in it are the people that usually get it, and the big chiefs are the ones that live except for in a couple instances recently. It doesn’t point fingers at any particular group. It points a finger at everybody, the East as well as the West and everything. So the song is as much about our system as it is anybody else’s. It’s just saying, “If you think there’s some magical answer on the other side of some door into the heavens or whatever, and if you kill to get there, that’s okay. Well, you can believe that if you want, but don’t take any of the rest of us with you.” That’s not what everybody believes. ANDELMAN: Do you feel as you get a little older — you’ve got kids, early teens and a young daughter — are you more prone to speak out about politics and things like that at this point because of your kids or your maturity? THORNTON: Well, they definitely affect the way I think and what I do, but I don’t really speak out that much sort of publicly about politics. I’m not that educated about it. I tend to more do it as a character in a movie or in a song or something. I don’t go to many rallies because I don’t know what I would say. I’m not really a politician. Now, there are some actors and musicians and a lot of people who are real educated on politics and can speak about it way better than I can. I just kind of say what I feel personally in these songs, but I certainly wouldn’t be able to go before Congress or anything like that because I’m not educated enough. 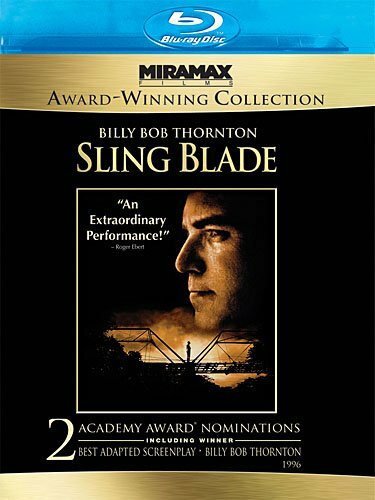 Order ‘Sling Blade’ [Blu-ray] starring Billy Bob Thornton, available right now at a great price by clicking on the DVD cover above! ANDELMAN: Now, on the lighter side of things, I see that Graham Nash sings background vocals on a couple of tracks. I was wondering how that came about? THORNTON: Graham and I had a lot of mutual friends over the years, and we always tried to hook up and do something together. We were asked by a company to do a Surround Sound mix of one of his songs, one of my songs, and then do one together for this thing up in Vegas that they had, this sort of a techie conference to demonstrate this equipment. And so, during the process, we fell in love with each other’s songs that we’d just written, and he really loved the song “Beautiful Door” as well as “Hope for Glory,” and I can tell you, on those three songs he does the background vocal part. So it was pretty nice to be able to harmonize with a Graham Nash, let me tell you. ANDELMAN: I would say that would probably be a career highlight. THORNTON: Oh, it was really great. He’s such a terrific guy, and I’ve always been a huge fan of his. He’s really the only guest star on the record. ANDELMAN: Good one to have. THORNTON: This record is made by just me and Brad Davis, who’s my co-writer and guitar player and Teddy Andreadis who plays organ and piano for us. They’re both in my touring band, too. And then on bass is Lee Sklar who, if you’re gonna have a bass player, that’s the guy to have. He plays predominately these days with Phil Collins, but Lee and I are old friends. ANDELMAN: Let’s talk about movies for a moment or two before we wrap up. I’m very curious about this. If you were getting together with your own buddies and were gonna share a favorite story from the making of a movie, what would it be? THORNTON: I guess I would have to say, actually, there are probably more stories from Bad Santa than anything else. I made a movie in San Quentin years ago and so for about two months, we were shooting in San Quentin. That alone was a pretty big deal. Every day was kind of a, well, you can imagine, you’re shooting in one of the heaviest prisons in the country. It was pretty odd. The thing is, to tell anecdotes about what happened on the set, like sometimes you’ll be asked, “You got any funny stories about what happened on the set one day or whatever?” There’s so many of them you can never think of one. It’s like when somebody comes to visit, and you’re supposed to take them out to a restaurant in your own town, you can’t think of one. So, yeah, mostly it’s just like a general vibe on a movie, and yeah, crazy things happen every day. I don’t know. Probably the funniest story that ever happened on any movie was on a movie called Pushing Tin that I did with John Cusack up in Canada. The story is way too long to tell here, but let’s just put it this way: we played a pretty decent practical joke on John, who has a weak stomach, and we got him good. It was a very elaborate plan, and about two weeks later, he got me back. We’ll just say it involved a sheep, a real live sheep, and some lingerie. ANDELMAN: All right. I think for those who are listening to this as audio, that will give them something to think about. What is it that you might see in a script that would get your attention as an actor? And are there any roles you’d like to be able to erase from your IMDB listing? THORNTON: Well, maybe some stuff early on. Since I was a well-known actor, I don’t think so. I’ve been pretty satisfied with everything. Some I like better than others but certainly nothing I’m ashamed of. Early on in my career, there are a few, but that’s back when you can’t say no. And the thing that attracts me is really the story and the characters. I’m not that big on tricky stuff. I usually don’t look for a movie that has the surprise, it was the butler kind of ending or whatever. Like really tricky stories don’t interest me. I like simple stories with complex characters. ANDELMAN: I think that my favorite Christmas movies of all time would have to be National Lampoon’s Christmas Vacation with Chevy Chase, and Bad Santa. It just never fails to entertain and make you fall down laughing. But I wondered, what movies would a guest see at your house during the holidays? THORNTON: The usuals, Miracle on 34th Street, It’s a Wonderful Life, and then it’s not easy for me to sit and watch my own movie, but I have to say I actually can watch Bad Santa. It gives me a kick, so I don’t mind watching Bad Santa. Order ‘Monster’s Ball’ [Blu-ray] starring Billy Bob Thornton and Halle Berry, available right now at a great price by clicking on the DVD cover above! ANDELMAN: And do you watch Bad Santa or Badder Santa? THORNTON: We usually watch Badder Santa. ANDELMAN: Finally, what’s coming up next? I see you’ve completed something called Mr. Woodcock, but I don’t know anything about that. THORNTON: Mr. Woodcock is a New Line movie starring myself and Susan Sarandon and Seann William Scott. It’s a comedy, a pretty dark comedy about a gym teacher, sort of the gym teacher from hell. ANDELMAN: That wouldn’t be you, would it? THORNTON: Actually, it is: Bad Santa in gym shorts. 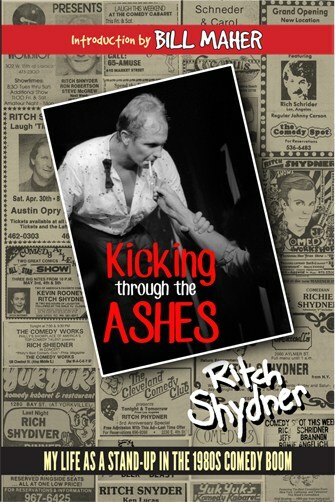 It’s coming out in September. I think it’s September 21st. I’m not positive on that date, but that’s from New Line Cinema, and it’s definitely out in September. And then I’m attached to seven movies over the next two years. THORNTON: There’s no start dates on them all. They’re trying to figure this out after my tour. We’re touring August 1st through the first week of September, mostly hitting the Pacific Northwest and western Canada, the West Coast, and then down South. ANDELMAN: Okay. Well, it’s good to know that you won’t be bored in the months to come. THORNTON: No. With all these kids and tours and movies, I’m pretty busy.